Vinyl pool liners typically last between 5-15 years. If your vinyl pool liner is showing signs of wear, such as tears, stretching, brittleness, cracks or faded colors, then it’s time to replace it. We have a variety of colors and patterns to select from and help you achieve the vision you have for your pool. With over 30 years of local experience, we are experts at installing beautiful new liners and take pride in delivering the best experience to our customers. How to prevent damage to your Liner? 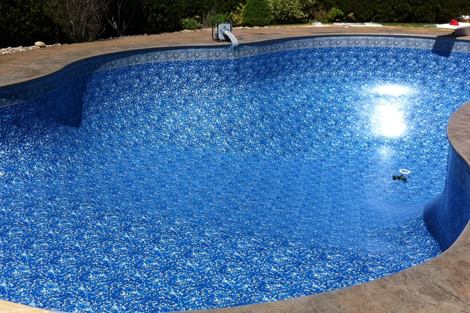 Considering vinyl pool liners are images that are printed onto a vinyl material, they will begin to fade with time. Chemicals, direct sunlight and time all have an effect on the amount of time your liner will last. 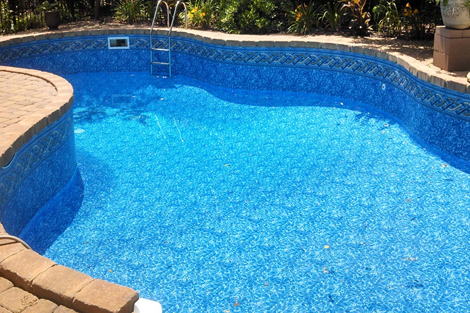 A common mistake by individuals is a complete draining of the pool to do a thorough cleaning. The weight of the water is what keeps your pool liner set in place. If you completely drain your pool, it is almost impossible to stop your vinyl liner from shrinking and reverting back to its original shape. After a long winter, it is finally time to start thinking about pool season! But before you take that first swim, you will need to have your pool opened properly. We have several different service packages available to get your pool ready for the summer. Don’t miss a minute of relaxation and fun in your pool, call us today at 937-203-0909 to get on the schedule. Sadly every year swimming season comes to an end, and one of the most important things you can do to maintain a fully functional pool for next year is to do a proper pool closing. Designed to care for your pool during the winter months, winterizing your pool will also greatly reduce the risk of lines freezing and bursting, which can lead to costly repairs. 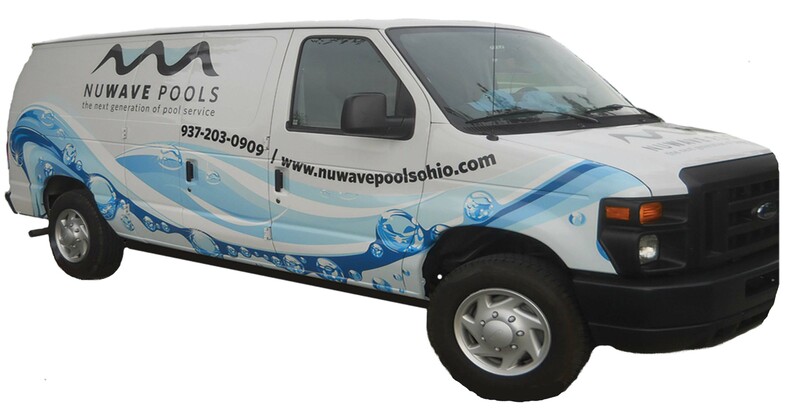 We book quickly so please call us at 937-203-0909 to get on the schedule for a timely pool closing. Please note: winterizing/pool closings do not come with a guarantee as we have no way of knowing the pool’s prior service history or quality and construction of the plumbing of the pool. Please call with any questions. Pool winter cover installation is yet another one of our quality services we provide. 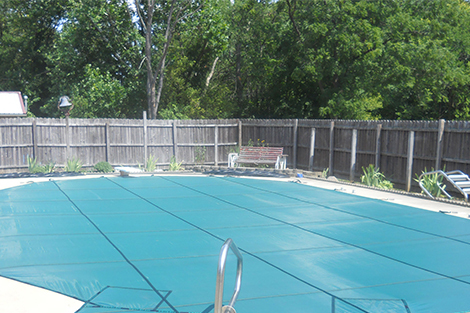 The process of a pool winter cover is very similar to the process of the vinyl liner. We must first come out to the home to get measurements of your pool so we can send those measurements off to manufacture the mesh cover. It takes 2-3 weeks to receive the cover back from manufacturing. At that time we will come and do a full installation. This can be done at all times during the year. Pool lighting can dramatically change the ambiance of your entire pool, while creating a more inviting and safer experience. 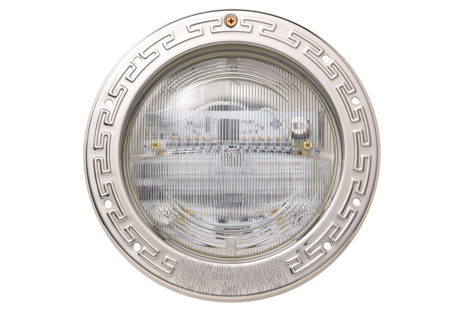 We specialize in replacing existing pool lights, and there are several new options available including LED lights and color-changing options.